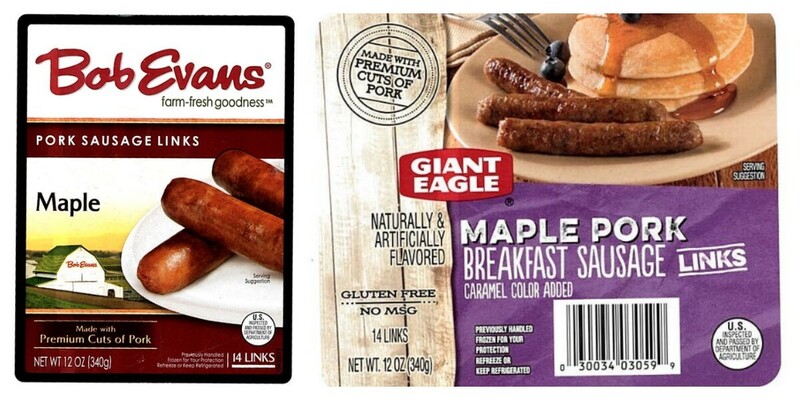 Bob Evans Farms Inc issued a voluntary recall of 46,734 pounds of pork sausage link products that may be contaminated with extraneous materials (pieces of hard plastic). The problem was discovered when Bob Evans received complaints of materials in sausage products. There have been no adverse reactions from consumption. Check your freezers. Do not consume these products – throw them away or return to place of purchase. Consumers with questions may send inquires to consume relations for Bob Evans Farms, Inc. at 1-800-939-2338.